Stuart Pethick, Affectivity and Philosophy after Spinoza and Nietzsche. Making Knowledge the Most Powerful Affect. Basingstoke, Hampshire: Palgrave Macmillan, October 2015. Affectivity and Philosophy After Spinoza and Nietzsche investigates a much neglected philosophical connection between two of the most controversial figures in the history of philosophy, namely Benedict Spinoza and Friedrich Nietzsche. It is claimed that these thinkers break with the classical image of philosophy as looking beyond affectivity for a knowledge of the world that can allow us to attain surety of judgement, virtue and happiness, and instead insist that the task of philosophy is not to judge what is right or wrong, but understand how it is that we come to make such judgements. As Spinoza famously remarks, we do not desire something because it is good; we rather call something good because we desire it. Philosophy for Spinoza and Nietzsche thus traces the affective genesis of our desires to help us compose our relations in the world in the most joyful manner possible. 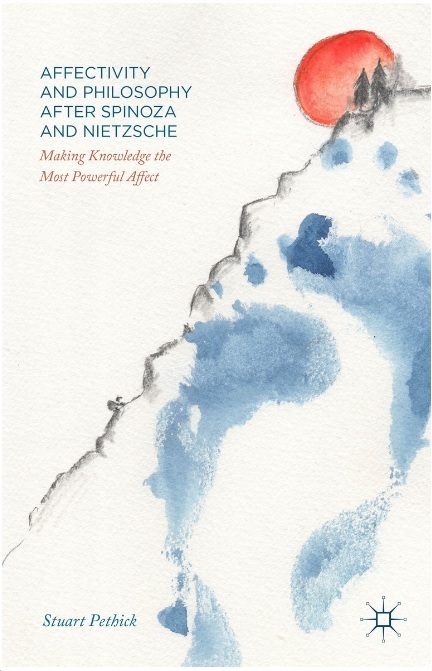 The crucial orientating role of affective experience thus joins these two disparate thinkers in a single and rare task: to make knowledge the most powerful affect.